VPN4ALL is one of the most trustworthy VPN providers out there. The company has something for everyone since it offers fixed bandwidth, unlimited bandwidth and mobile-only plans for its subscribers. If you think that the service meets your privacy needs, make sure to save money on your subscription by making use of our exclusive VPN4ALL coupon for 15% Off. a) Save Up To $21.3 On VPN4ALL’s Unlimited Bandwidth Plan – The Unlimited plan is the most feature packed (as well as most expensive) VPN plan from VPN4ALL. The plan usually costs $142 for 12 months, $81 for 6 months, $43 for 3 months and $16.95 for 1 month but with our special coupon you can get it for $120.7 for a year ($21.3 saving), $68.85 for half-year ($12.15 saving), $36.55 for a quarter ($6.45 saving) and $14.4 for a month ($2.55 saving). 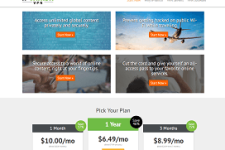 b) Save Up To $12.6 On VPN4ALL-50 GB Plan – This plan restricts monthly bandwidth to 50 GB and is available for $84 for 12 months, $48 for 6 months, $25 for 3 months and $9.95 for 1 month. However, our coupon gives you an opportunity to subscribe to the package for $71.4 for a year ($12.6 saving), $40.8 for half-year ($7.2 saving), $21.25 for a quarter ($3.75 saving) and $8.45 for a month ($1.5 saving). 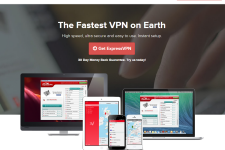 c) Save Up To $7.35 On VPN4ALL Mobile Plan – The mobile-only plan from VPN4ALL is best suited for mobile devices since it supports just basic VPN protocols and restricts bandwidth to 5 GB per month. 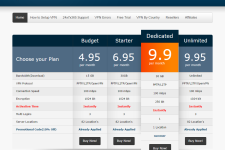 The plan normally costs $49 for 12 months, $28 for 6 months, $15 for 3 months and $5.95 for 1 month but the VPNCoupons special coupon allows you to subscribe to the plan for $41.65 for a year ($7.35 saving), $23.8 for half-year ($4.2 saving), $12.75 for a quarter ($2.25 saving) and $5.05 for a month (90 cents saving). 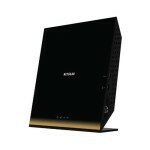 To save money with our coupon, visit the VPN4ALL website by clicking on the links given on this page. Next, choose a plan and billing cycle and then on the “Secure checkout” page, enter the code vpnc15 in the “Enter promo code” box and click on the “Apply code” button to apply the savings to your order.